When you’re out on the ice, you want a skate that is going to go the extra mile with you and match your determination. Bauer is already a top brand for high-performance, lightweight, and durable skates, but their recent line-up revamp has seen some brand-new introductions brought into the fold. 4 What Does the Bauer Supreme 1S Experience have to Offer? 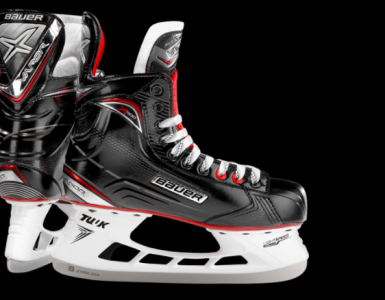 9 Bauer Supreme 1S Skates – What’s the Verdict? For this test, we’ll be looking at the Bauer Supreme 1S LE, in a size 9.0 D, weighing in at an impressive 815g. Fitting-wise, Bauer have made the push to try and categorise their skates into different families, catering to players with different foot variances. The foot variance of the Bauer Supreme 1S LE is firmly in the middle ground, not quite matching the Bauer 1X edition, but not quite reaching the Bauer 1N. You can’t talk about first impressions with the Bauer Supreme 1S LE without bringing up the ‘Limited Edition’ aspect, already setting the bar high with the promise of a skate that stands out. 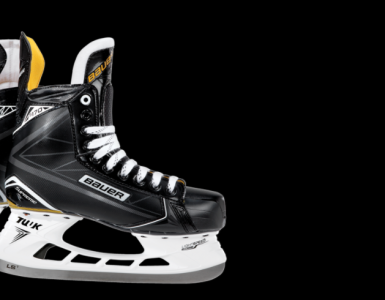 Well, Bauer certainly delivers with the Supreme 1S, hopefully setting a high bar they intend to follow. The Bauer Supreme 1S LE have very obviously followed in the trend of their previous skates, offering a high-quality look and feel from runner to tongue. The design is along the lines of the classic and well-loved Supreme 1S, but with an almost fully blacked-out design. The whole upper of the skate is designed in a strong stand-out black with the raised ‘Bauer’ logo featured on the side. On the heel is where things start to get really exciting, with ‘Limited Edition’ embedded in white at the bottom of the heel. The white of the lettering is matched with the almost pure-white runner, providing an impressive contrast with the blacked-out boot. For the style conscious skater, this skate design is not going to be a disappointment, but then, Bauer are not known to back down when it comes to style or performance. From the strong and sturdy first impressions of the boot, it certainly sets the tone for good things to come. What Does the Bauer Supreme 1S Experience have to Offer? While first impressions count, the performance of the skate is what it all falls down to. It’s already pretty clear that the limited edition Supreme 1S model is well-built with a good weight and high-quality design, but the real story lies in the features. Starting with the upper, the 3-D Lasted Titanium Curv composite, with the addition of the Total Edge Comfort, is a new move from Bauer, but definitely an exciting one. With the Total Edge Comfort, the boot feels more supportive, which is a benefit that keeps on giving when you’re on the ice. For long sessions, not having to deal with the sharp edges is a true blessing. Of course, while comfort is an ever-important factor, the 3-D Lasted Titanium Curv composite is what really sets the Supreme 1S LE apart from the crowd. 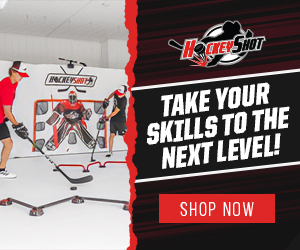 With this new addition the skates are incredibly lightweight, much stronger than many of the previous Bauer skates, and allow for an enhanced transfer of power. When you put them on, they lock your ankle and heel in prime place, with an incredibly close fit that gives you power over your stride. The trend of heightened comfort follows through to the tongue design, which features comfort padding thanks to the Form-Fit Lite 52oz/40oz. 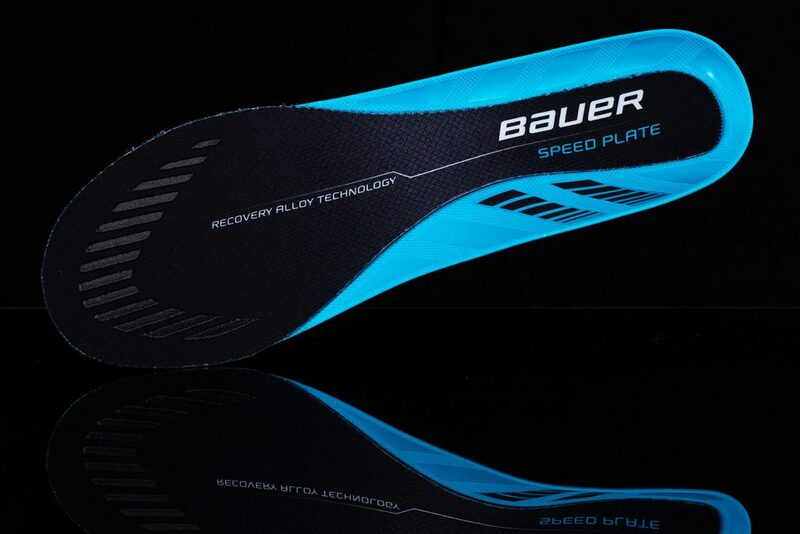 By using a customisable C-FLEX Technology for their inserts, Bauer provide that freedom to choose your tongue flex, giving the control back the skater who is going to benefit the most from a tongue that works for them. Customization is not forgotten in the Speed Plate either, with the custom Speed Plate moulding to the shape of your foot for optimum support and a clear boost in performance – a welcome step-up from the standard footbed. If you’ve experienced a Bauer skate before, then you’ve likely already had an encounter with the 37.5 polyester liner material – which definitely isn’t a bad thing. The liner choice is out in force again for the Supreme 1S LE, and it only enhances the overall experience. 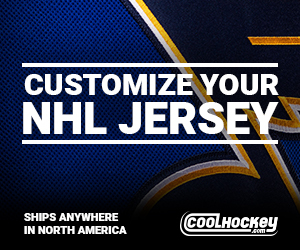 The Bauer Liner keep your skates dry and evaporates your sweat, even in longer sessions. With the included addition of the integrated wear pads, it truly makes for a comfortable and dry skating experience. While the design of the TUUK holder is eye-catching, what’s going to impress you more is the performance. The holder performs like a dream, keeping turns sharp and tight thanks to the increased height. This style of holder is popular for a reason, and with the amazing benefit of quick steel changing, they’re a winning addition to the skate. Of course, it would be a crime to bypass the steel, which in this case, is a high-performing LS4 stainless steel. The steel offers a sharper edge, clean design, and incredible strength – the perfect finish to the Bauer Supreme 1S LE. Bauer Supreme 1S Skates – What’s the Verdict? The Bauer Supreme 1S LE is very clearly built as a performance skate, going that extra mile to add in the innovative technology that allows you to skate faster, stronger, and longer – ensuring that your skates can always live up to the potential of your determination. 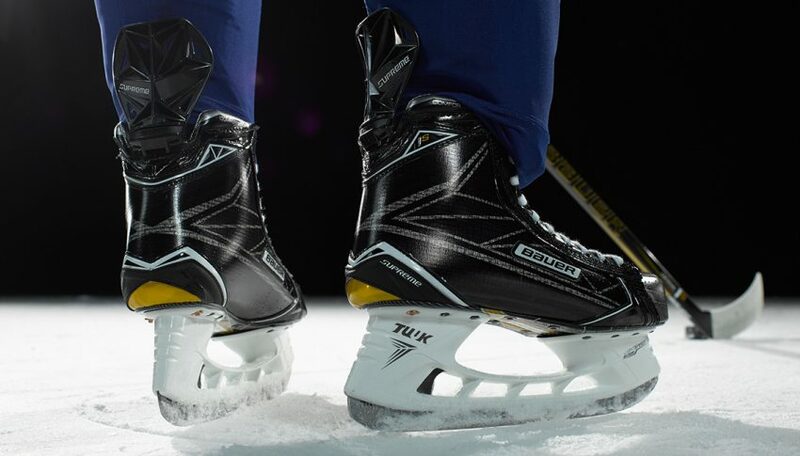 From the alloy technology on the Speed Plate, to the flexible Injected Stability Lacing System, and all the key technology features we’ve covered, the Bauer Supreme 1S LE are skates that are overflowing with elite features. The final verdict? If you want a high-end skate for a boost in style and enhanced performance, the Bauer Supreme 1S LE are not going to leave you wanting.